Eyewitness Invention is the perfect introduction for children learning about objects and discoveries that have changed our world. What inventions fuelled the changes that lead to modern life? When was the first computer invented? 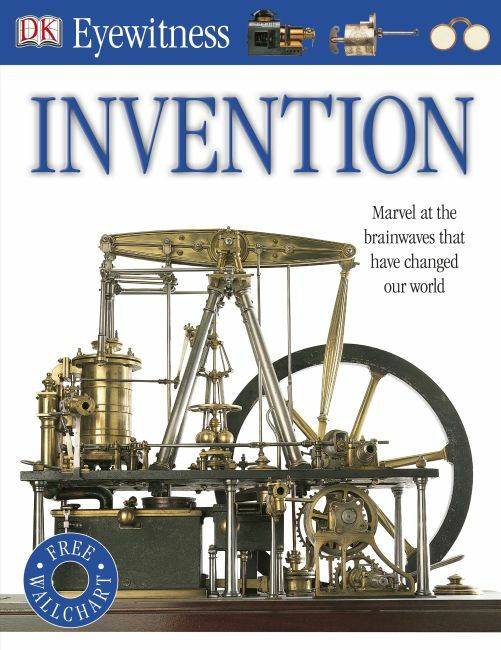 Get your inventive juices flowing by reading about everything there is to know about some of this world's most important inventions, from transport to the telephone, medical advances to cameras. Eyewitness Invention also includes a giant fold-out wall chart full of facts, perfect for bedrooms or classrooms. Packed with over 200 colourful pictures, as well as diagrams depicting the most primitive tools (also invented!) to the most sophisticated eureka! moments in recent memory, Eyewitness Invention provides the perfect combination of information and great ideas for school projects. Children will learn about the scientists behind these great ideas, how they changed the world and how certain inventions have evolved beyond recognition. Supports the National Curriculum at Key Stage 2.